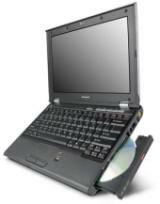 Mfr’s Description: Lenovo 3000 V Series notebooks combine great performance with exceptional features. These sleek, widescreen (12.1″) models are designed for very mobile professionals who want worry-free computing in a stylish, media-friendly and powerful ultraportable. Lenovoâ€™s world-class engineering delivers high quality, reliable notebook PCs â€“ from many of the same award-winning developers of ThinkPadÂ® notebooks.